The COMBRITE range of electronic ballast for ceramic metal halide and HQI discharge lamps are engineered with the latest technical standard particularly with regard to safety and reliable performance. 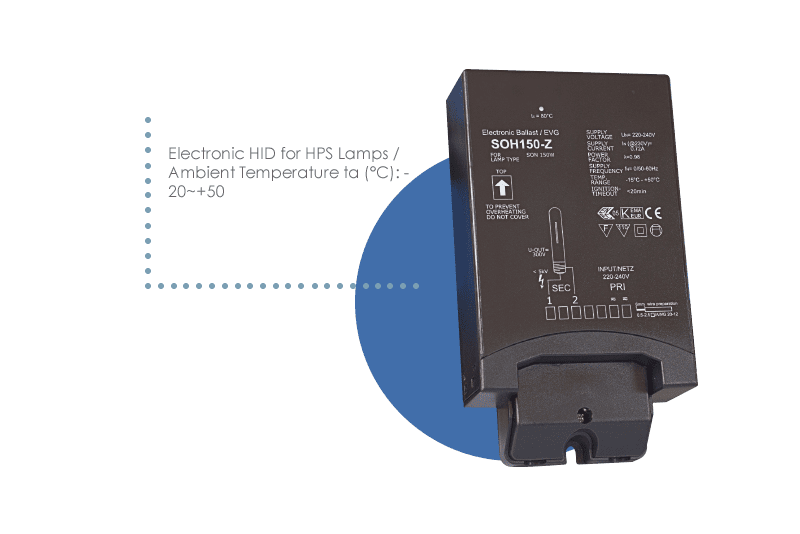 These electronic HID ballasts offer the benefit of excelling the conventional electromagnetic circuits with a considerable extension of the lamp service life and increased energy efficiency for energy-oriented lighting solutions. • Option of dimmable HPS ballasts via 10V or IPM software.